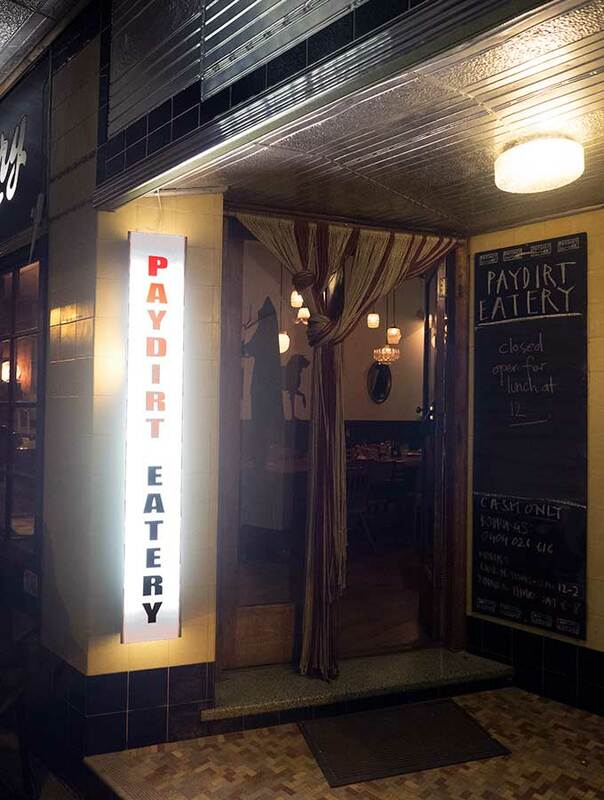 Paydirt Eatery is a quirky Asian fusion restaurant in the heart of Braidwood run by top hatted Chef Zac Kadri. “We’re going to Zac’s. It’s on the main street in Braidwood, you won’t be able to miss it”, I’m told. Thank goodness I confirmed, or I would have been standing in the middle of the main street of Braidwood scratching my head looking for “Zac’s”. 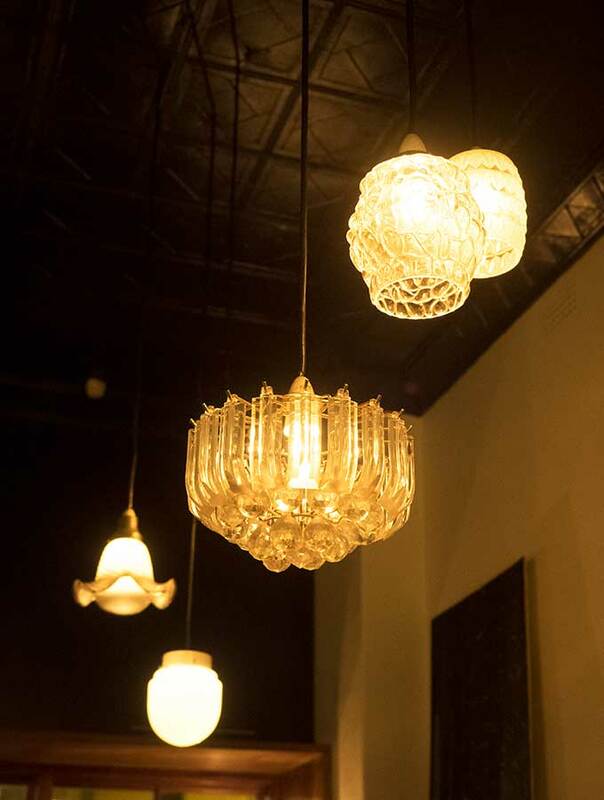 Paydirt Eatery is a quirky little restaurant with an open kitchen. No kitchen secrets going on here. It would probably seat 20 customers at a pinch. There are a crew of three manning both front and back of house. Not that there really is a back of house as it is located in view of customers. 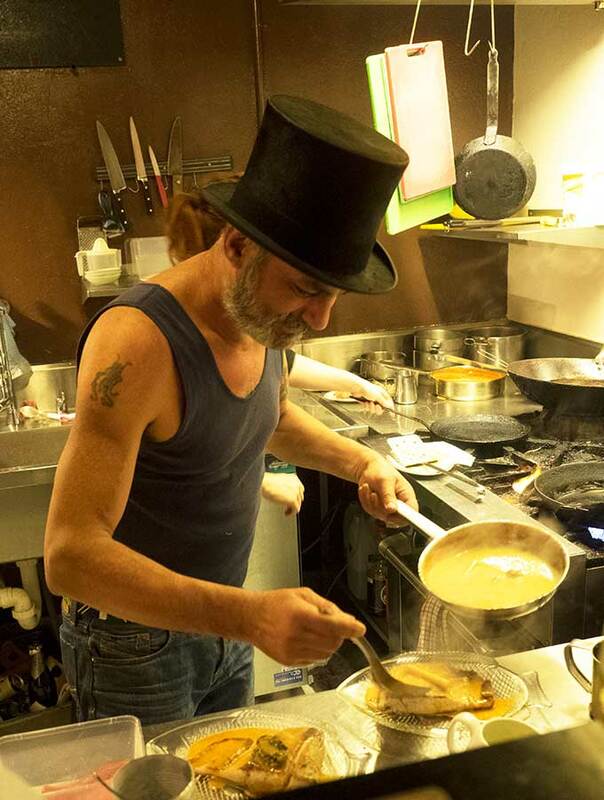 Top hatted Chef Zac Kadri mans the pots and pans like a drummer, not missing a beat. 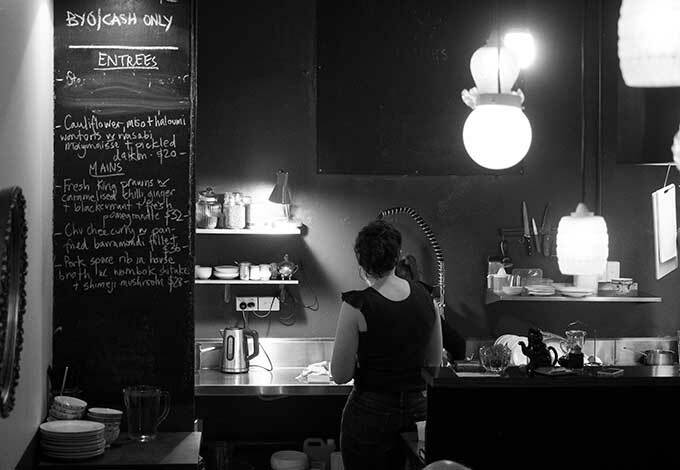 His two offsiders take orders, serve, clear plates, act as sous chef, and do all the other little things that need to be done to run a restaurant. The three are a well-oiled machine. 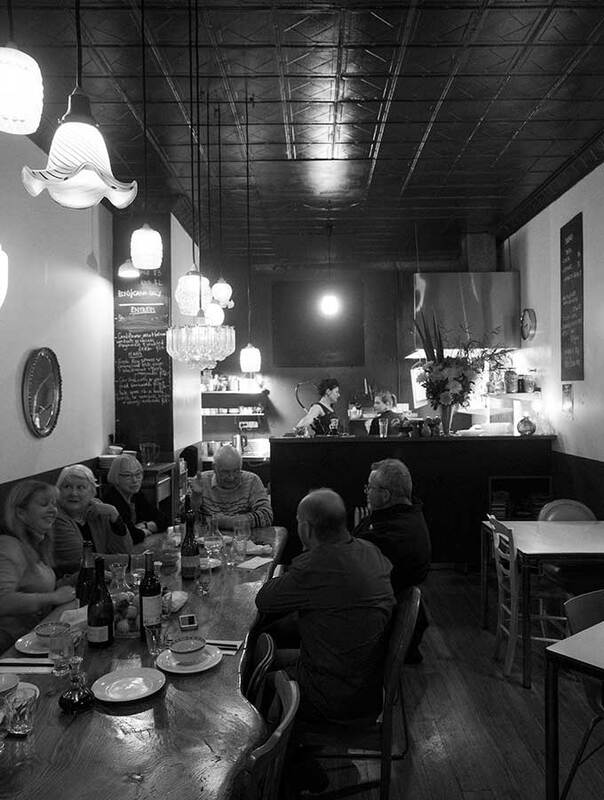 The menu is Asian fusion and small. It changes daily depending on what Zac picks up at the local markets. When I say the menu is small I mean it. 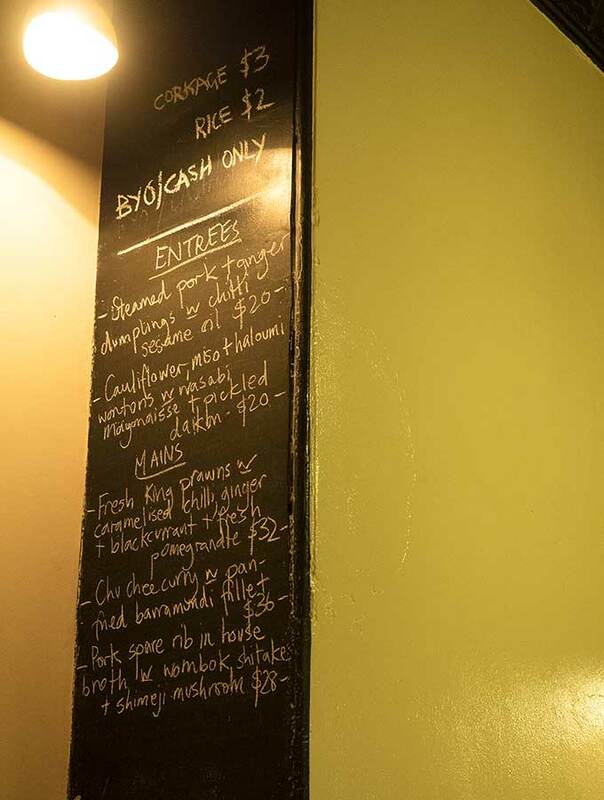 Written on a blackboard, the menu consists of two entrees and three main course dishes. 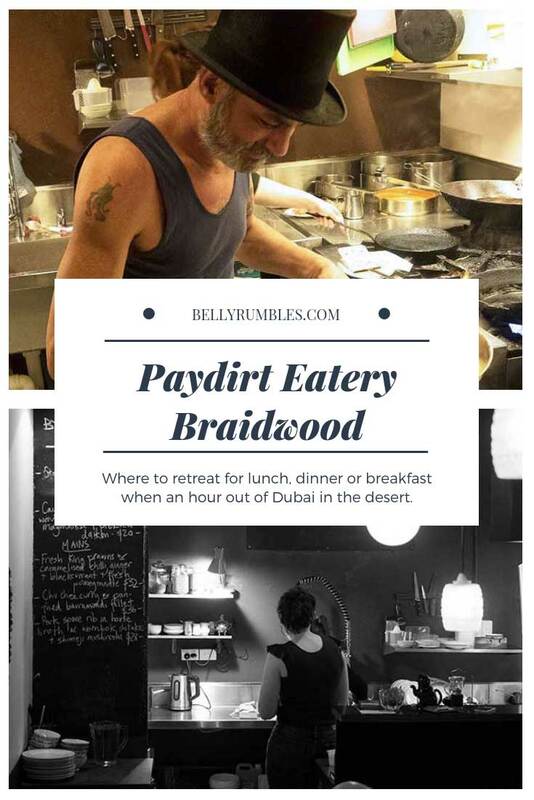 Paydirt Eatery is strictly cash only and BYO. 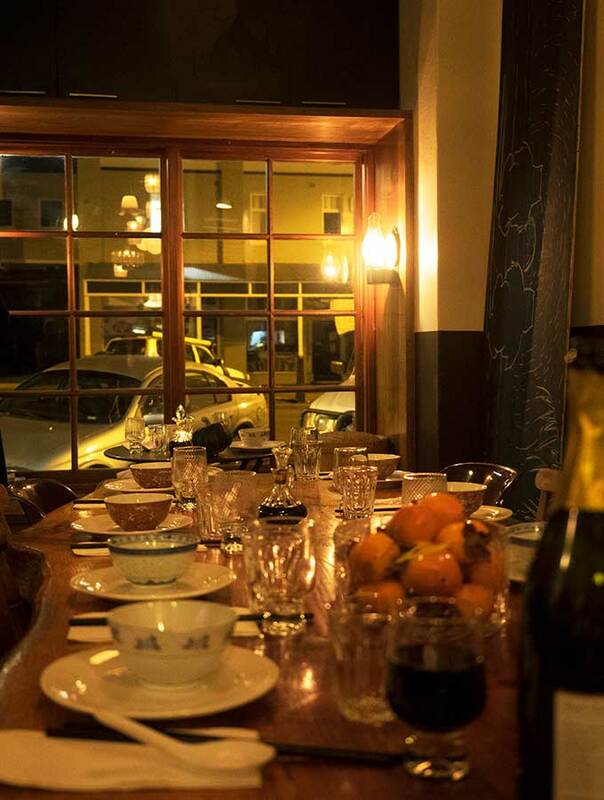 I like the BYO part more than normal as it gives you an opportunity to bring wines discovered from local vineyards. 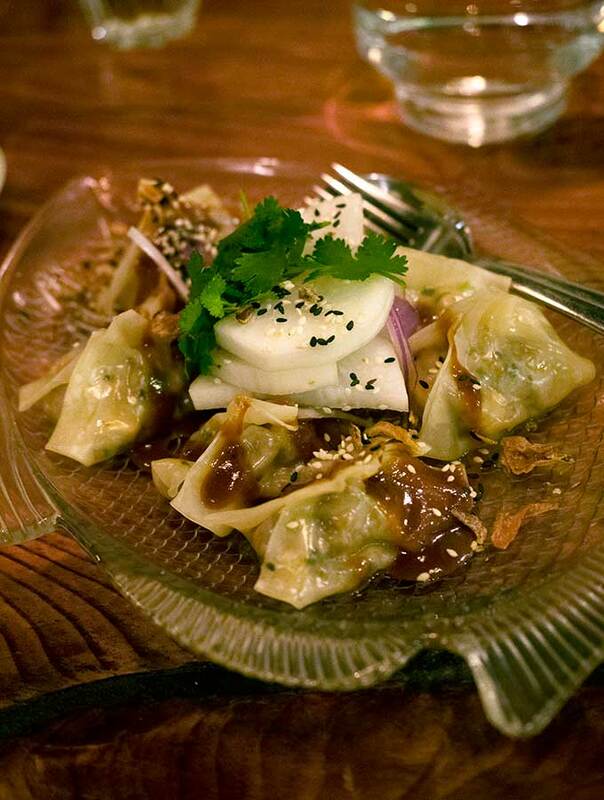 We order everything from the menu, starting with the dumplings. Steamed pork and ginger dumplings with chilli sesame oil and cauliflower, miso and haloumi wontons with wasabi mayo and pickled daikon. The dumplings and wontons are plump with almost translucent skins. 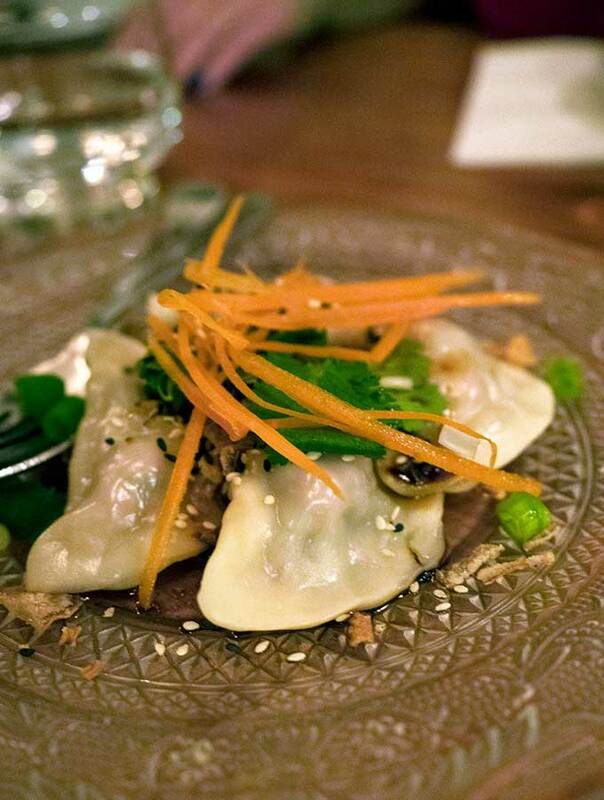 I didn’t quite know what to expect with the cauliflower, miso and haloumi wontons, but they were a really delicious vegetarian offering. 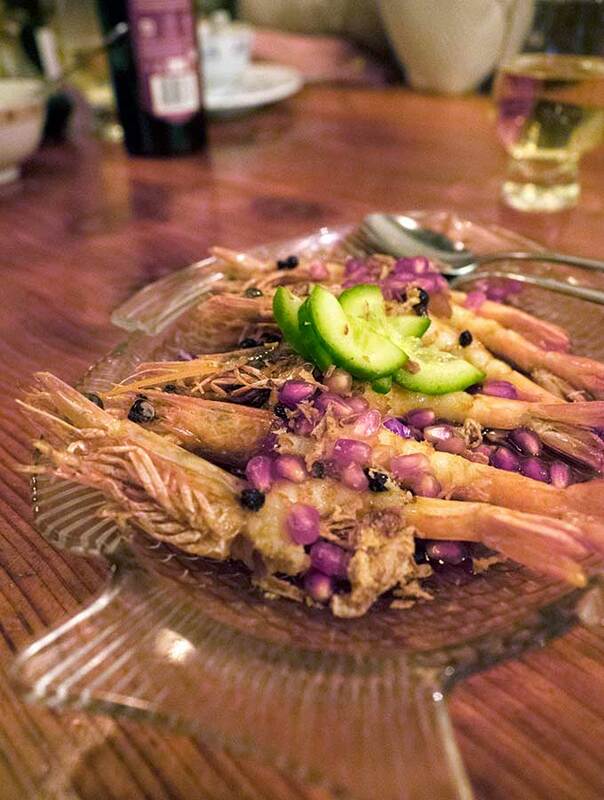 Fresh king prawns with caramelised chilli, ginger, blackcurrant and fresh pomegranate. The above may look a little anaemic of chilli and they are. I only realised when editing the images that I took a picture of Mac’s prawns and not the normal ones on the menu. Mac has a medical condition where he can’t eat chilli. He loves it, misses it greatly, but isn’t allowed to eat it. Not being able to eat chilli or citrus tends to throw an Asian fusion menu for a bit of a loop. Happy to say that Zac catered well to Mac’s dietary requirements. The non pictured prawns were epic. Pork spare rib in house broth, with wombok, shitake and shimeji mushrooms. 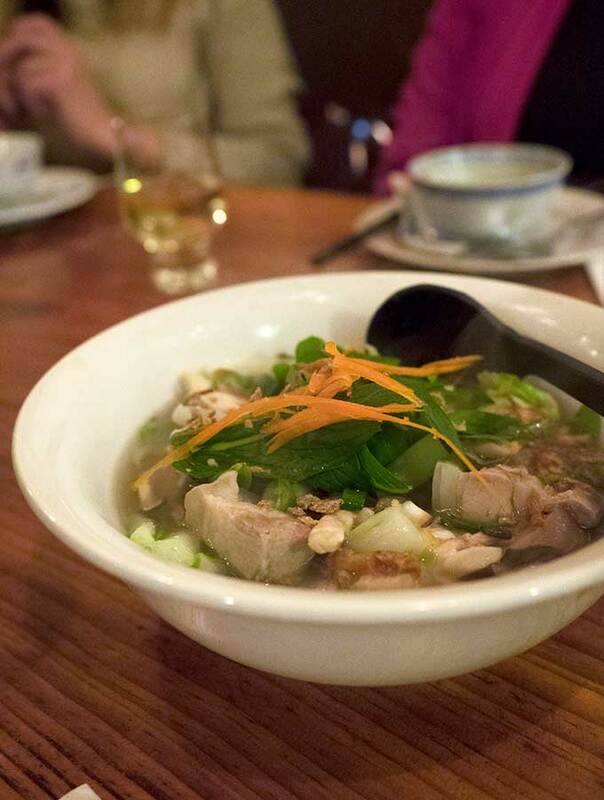 The broth is fragrant, this is aided by the fresh herbs sitting on top. The meat on the ribs tender. A dish I would have been quite happy to have not shared. I have a love hate relationship with Barramundi. 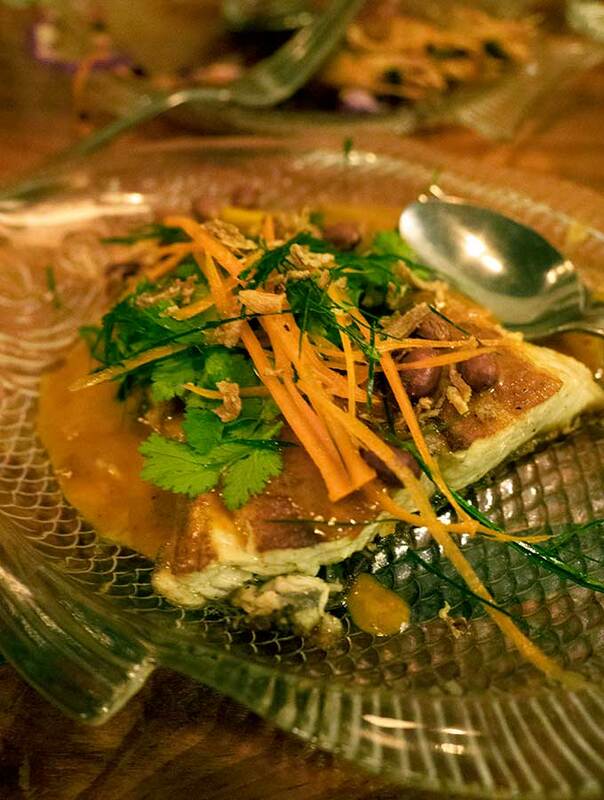 In this case I loved Zac’s pan fried barramundi with chu chee curry sauce. The firmer fleshed barramundi balancing well with the aromatics in the curry. Our group of seven, all locals except Mac and I, partied on as Zac and his crew closed service around us. We happily sat inside, with no pressure to leave, finishing our wine. 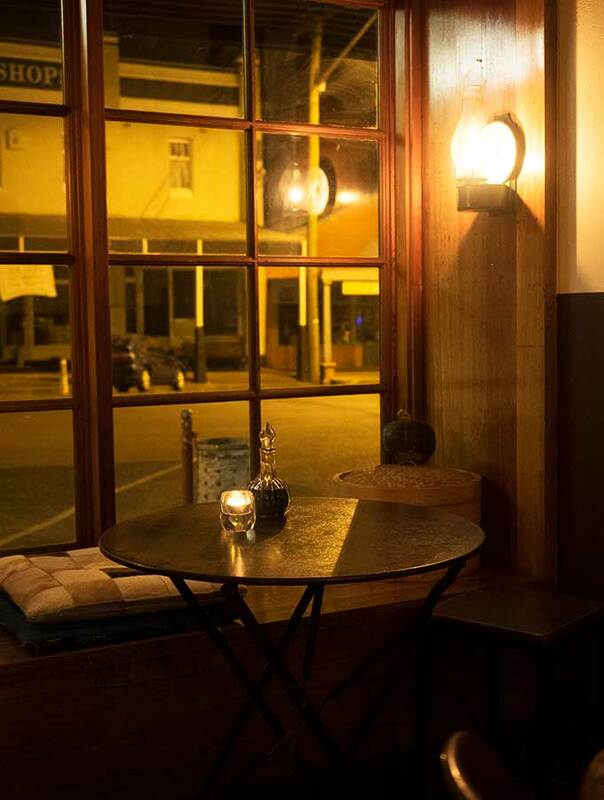 While the Paydirt Eatery team put their feet up outside drinking their wine and relaxing after the evening’s service.